1 A None No Power Seat 1 A is a Premium Economy Class Bulkhead seat whose close proximity to the lavatory and galley may be bothersome. There is no floor storage during take-off or landing. 1 C None No Power Seat 1 C is a Premium Economy Class Bulkhead seat whose close proximity to the lavatory and galley may be bothersome. There is no floor storage during take-off or landing. 1 J None No Power Seat 1 J is a Premium Economy Class Bulkhead seat whose close proximity to the lavatory and galley may be bothersome. There is no floor storage during take-off or landing. 1 L None No Power Seat 1 L is a Premium Economy Class Bulkhead seat whose close proximity to the lavatory and galley may be bothersome. There is no floor storage during take-off or landing. 10 B None No Power Seat 10 B is an Economy Class Exit Row seat with extra legroom. The tray table is in the armrest, making the armrest immovable and slightly reducing seat width. There is no floor storage during take-off or landing. 10 J None No Power Seat 10 J is an Economy Class Exit Row seat with extra legroom. The tray table is in the armrest, making the armrest immovable and slightly reducing seat width. There is no floor storage during take-off or landing. 10 K None No Power Seat 10 K is an Economy Class Exit Row seat with extra legroom. The tray table is in the armrest, making the armrest immovable and slightly reducing seat width. There is no floor storage during take-off or landing. 10 L None No Power Seat 10 L is an Economy Class Exit Row seat with extra legroom. The tray table is in the armrest, making the armrest immovable and slightly reducing seat width. There is no floor storage during take-off or landing. 2 L None No Power Seat 2 L is a standard Premium Economy Class seat. 24 A None No Power Seat 24 A is an Economy Class seat in the last row of the plane that may have limited recline. The close proximity to the lavatories and galley may be bothersome. 24 B None No Power Seat 24 B is an Economy Class seat in the last row of the plane that may have limited recline. The close proximity to the lavatories and galley may be bothersome. 24 C None No Power Seat 24 C is an Economy Class seat in the last row of the plane that may have limited recline. The close proximity to the lavatories and galley may be bothersome. 24 J None No Power Seat 24 J is an Economy Class seat in the last row of the plane that may have limited recline. The close proximity to the lavatories and galley may be bothersome. 24 K None No Power Seat 24 K is an Economy Class seat in the last row of the plane that may have limited recline. The close proximity to the lavatories and galley may be bothersome. 24 L None No Power Seat 24 L is an Economy Class seat in the last row of the plane that may have limited recline. The close proximity to the lavatories and galley may be bothersome. 3 L None No Power Seat 3 L is a standard Premium Economy Class seat. 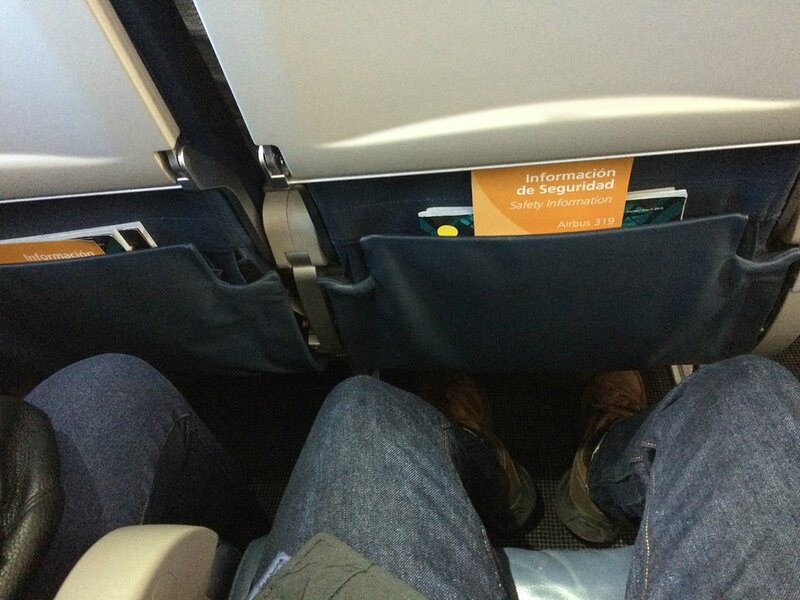 4 A None No Power Seat 4 A is an Economy Class Bulkhead seat with extra legroom due to the position of the Bulkhead. The tray table is in the armrest, making the armrest immovable and slightly reducing seat width. There is no floor storage during take-off or landing. 4 B None No Power Seat 4 B is an Economy Class Bulkhead seat with extra legroom due to the position of the Bulkhead. The tray table is in the armrest, making the armrest immovable and slightly reducing seat width. There is no floor storage during take-off or landing. 4 C None No Power Seat 4 C is an Economy Class Bulkhead seat with extra legroom due to the position of the Bulkhead. The tray table is in the armrest, making the armrest immovable and slightly reducing seat width. There is no floor storage during take-off or landing. 4 J None No Power Seat 4 J is an Economy Class Bulkhead seat with extra legroom due to the position of the Bulkhead. The tray table is in the armrest, making the armrest immovable and slightly reducing seat width. There is no floor storage during take-off or landing. 4 K None No Power Seat 4 K is an Economy Class Bulkhead seat with extra legroom due to the position of the Bulkhead. The tray table is in the armrest, making the armrest immovable and slightly reducing seat width. There is no floor storage during take-off or landing. 4 L None No Power Seat 4 L is an Economy Class Bulkhead seat with extra legroom due to the position of the Bulkhead. The tray table is in the armrest, making the armrest immovable and slightly reducing seat width. There is no floor storage during take-off or landing. 9 J None No Power Seat 9 J is an Economy Class seat that may have limited recline due to the Exit Row behind. 9 K None No Power Seat 9 K is an Economy Class seat that may have limited recline due to the Exit Row behind. 9 L None No Power Seat 9 L is an Economy Class seat that may have limited recline due to the Exit Row behind. In Premium Economy, there are more than 10 audio channels available on demand. Economy Class has standard audio channels. Premium Economy offers seat-back TVs with video on demand featuring over 30 movies and 50 TV programs. 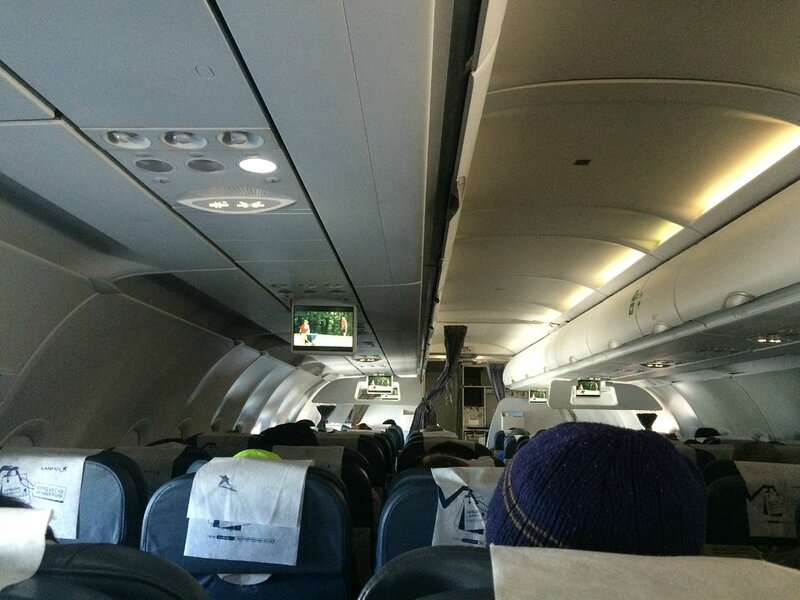 There are overhead screens in Economy. 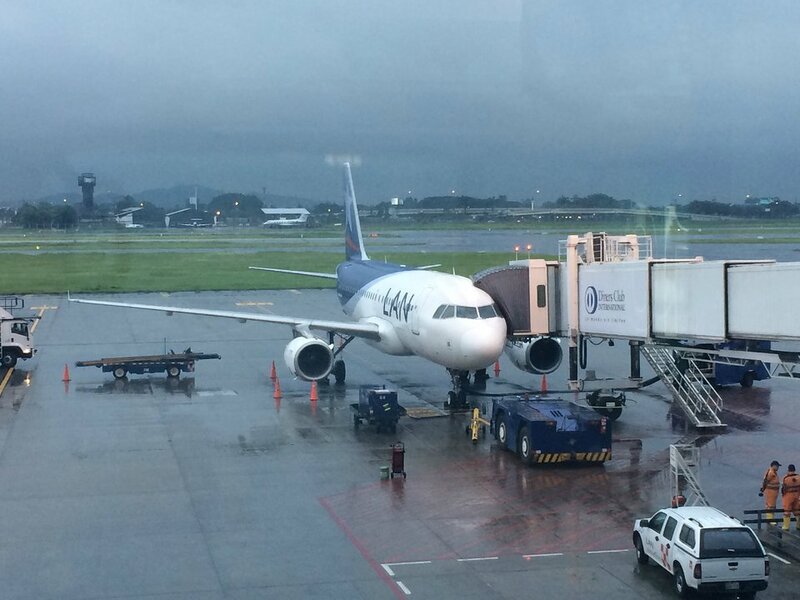 LATAM flies the Airbus A319 in two different configurations. This version has 138 seats in a two-class configuration of Premium Economy and Economy. LATAM's new Premium Economy product features more seat pitch, larger recline, personal entertainment, and blocked out middle seats for added comfort. 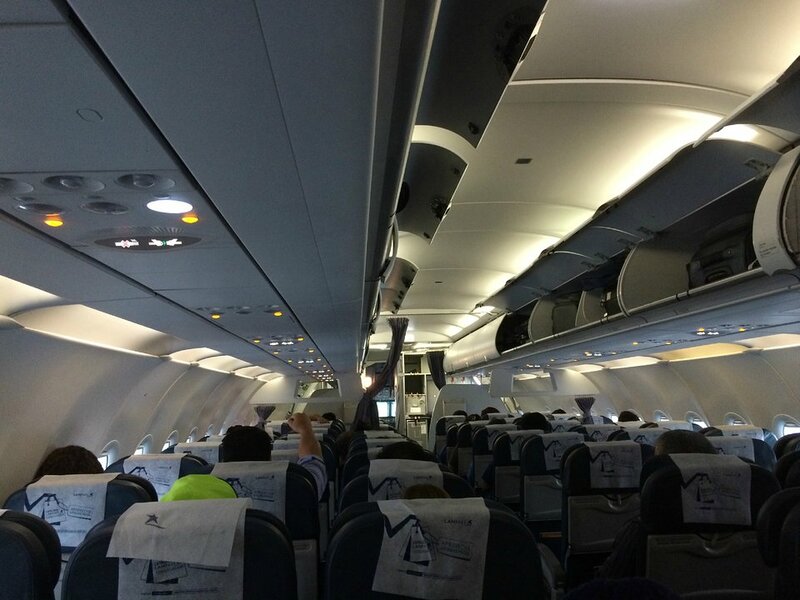 This aircraft flies on routes from Santiago to Buenos Aires, Montevideo, Sao Paulo, and Lima, from Lima to Medellin, Bogota, and Sao Paulo, and from Buenos Aires to Quito and Guayaquil. Flew from La Paz to Santa Cruz and on to Lima. New plane and pleasantly surprised by the seat. I am 6'3" tall and weigh 225 lbs. The seat was both wide enough and had a enough leg room for me to sit comfortably for five hours. Service was pleasant and the beer was free (no wine). The seat is good. You have a lot of space there. The crew give you a good meal and you can rest a lot in this seat. The noise of the economy class may bother you. 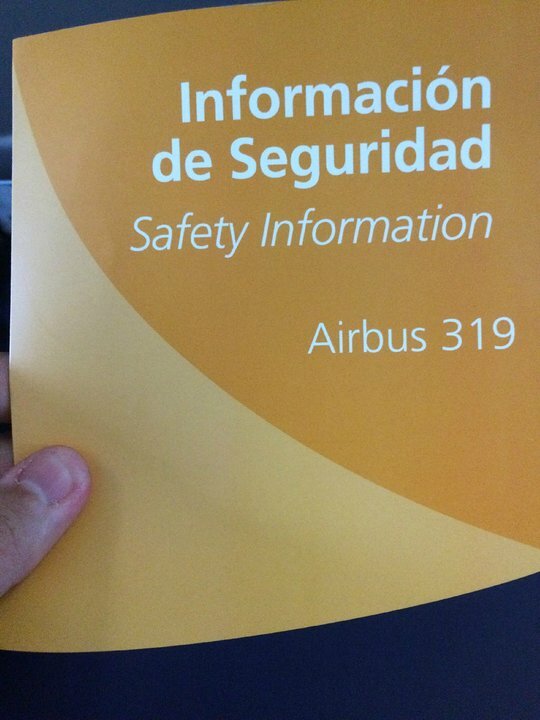 LATAM Chile flies 2 versions of Airbus A319 V1.